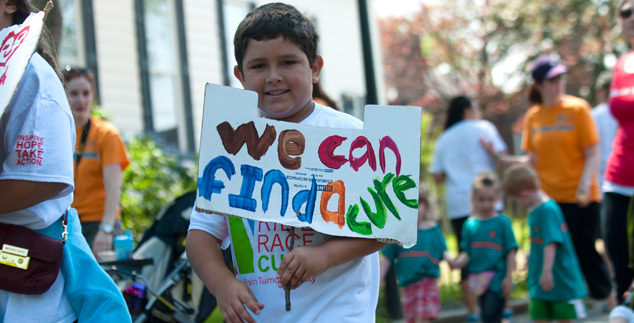 We won’t rest until a cure exists. With your help, we will fund strategic programs and cutting edge research to uncover new treatments and advance progress toward a cure. Please make a gift today and make a difference in the fight against brain tumors. May is Brain Tumor Awareness Month! 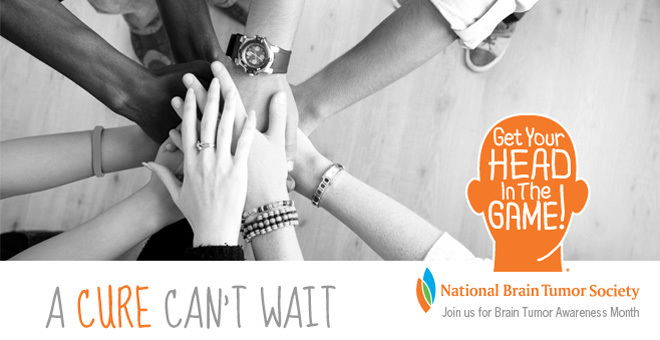 National Brain Tumor Society needs your support to turn scientific discoveries into clinical advances that keep patients alive and well longer. Make a gift today and help us drive innovative research toward new therapies for brain tumors - because a cure can't wait. Enter an amount: Enter amount. Donor title: Mr. Ms. Mrs. Miss Dr. Mx. * Donor first name: Required Donor first name is required. * Donor last name: Required Donor last name is required. * Donor street 1: Required Donor street address is required. * Donor city: Required Donor city is required. * Donor ZIP code: Required Donor ZIP or Postal Code is required. * Donor email address: Required An email address is required.